At the age of twenty-three, Paul Howard Manship became the youngest sculptor ever to receive the prestigious Prix de Rome fellowship. While in Europe, he acquired a love of Classical and Renaissance art and became fascinated with Greek and Roman mythology. 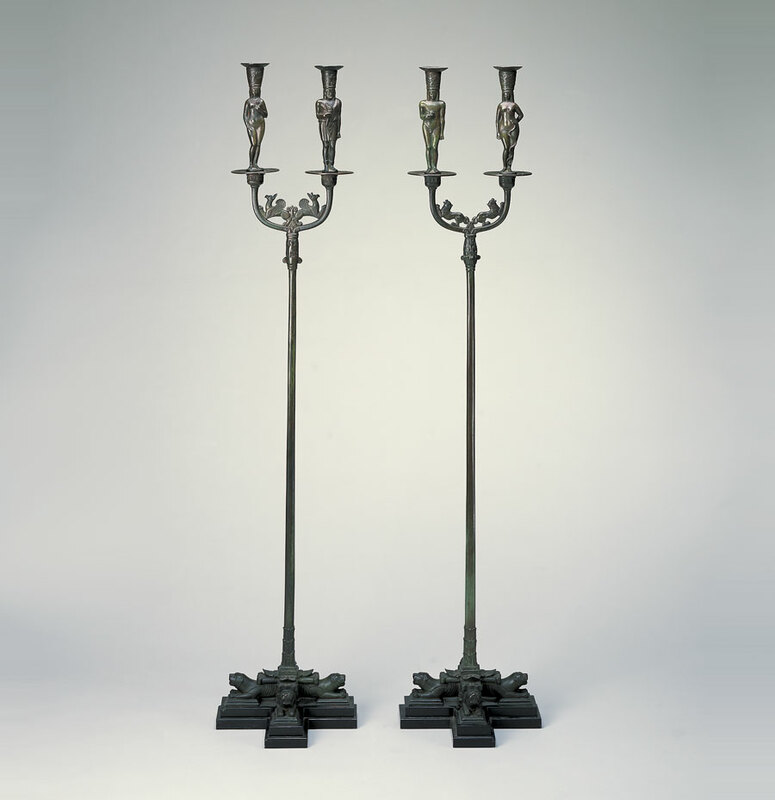 After returning to the United States, he created several works for his Manhattan home in 1916, including the original pair of these candelabra in gilt-bronze. Adam and Eve and Venus and Vulcan, which personify Manship’s love of the juxtaposition of human and animal forms, were exhibited at the Detroit Society for Arts and Crafts in 1919. The candelabra exemplify the style Manship became known for—sensitivity to forms, polished contours, and symmetrical compositions. The detail of the low reliefs (as shown on the candle collars) was achieved by his skillful carving of the plaster mold. This pair of cast bronze candelabra was purchased by George Booth for the Still Room in Cranbrook House which features a painted Pompeian motif.